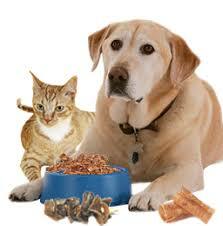 Love pets and love your neighbor, your donations of cat and dog food helps both pets and neighbors. Donations are accepted during office hours (8am-noon & 1-4pm M-Thu). Any brand or size of unopened cat and/or dog food is welcomed. ​Four Paws Pet Pantry strives to ease the burden of feeding furry family members due to a temporary lack of resources whether caused by difficult economic times or emergencies. Our pets not only give us companionship and unconditional love, they may be our only source of comfort when we are alone or facing hard times. The volunteers at Four Paws are working to do what they can to keep pets where they should be — in their forever homes. 4 p.m. until 6 p.m.
to donate, volunteer or receive assistance from Four Paws Pet Pantry. The second Monday of each month at 2:00 p.m. for bagging and organizing for the opening of the pantry. Call PJ at the church office at (575) 622-1353. Solicit contributions of food Organize a food drive Bag food for distribution Set up for monthly food pantry Distribute food at monthly food pantry Deliver to pet owners experiencing homelessness Other Anything needed to help hungry pets! put “pet pantry” in memo line. Checks may be delivered to church office at 505 N. Pennsylvania Avenue or by mail at P.O. Box 1495, Roswell, NM 88202. Gallon zip-lock bags, unopened dog food and cat food (preferably dry, small and medium kibble) are accepted in the church office Monday, Tuesday and Wednesday, 9 am to noon or 1 to 4 pm. Sundays: a box for contributions will be in the narthex. Other drop off times may be available by appointment. Please call the office at (575) 622-1353 to make arrangements. You can download a flyer here to share with your neighbors, family, and friends.